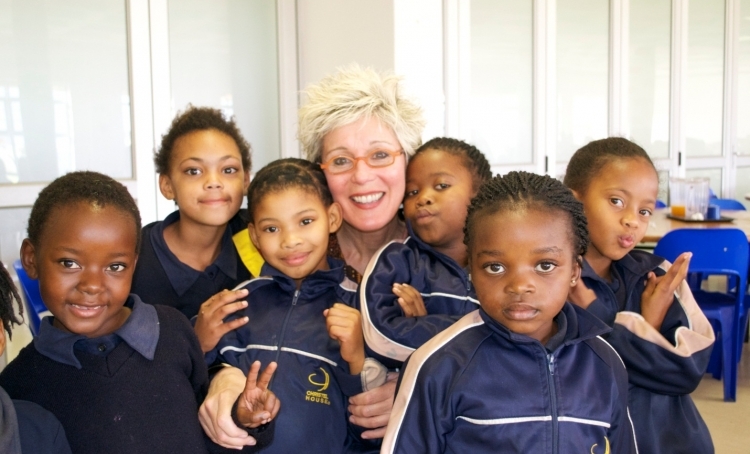 Grammy award-winning singer Sylvia McNair with Christel House South Africa students. When children have been raised in poverty, that environment is all they know. But Christel House and its supporters have become beacons of light and hope in these kids’ lives. One such supporter is two-time Grammy award-winning opera singer Sylvia McNair. Sylvia visited Christel House South Africa in May 2014 and brought immeasurable joy into the kids’ lives. She sang with the choir students, teaching them new songs and even learning some of their traditional South African tunes. The talented singer also spent time with students in their classrooms. Not only was this a monumental experience for our students in South Africa, but also for Sylvia. During her career, Sylvia has performed for public figures such as Hillary Clinton and Pope John Paul II – and now the children of Christel House South Africa!